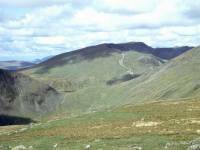 Today's walk was a "mopping up" expedition on which I climbed a handful of fells in the Fairfield group that I'd never visited before . 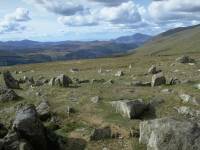 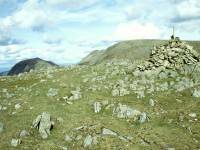 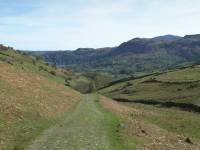 I'm ascending Stone Arthur first, by a pleasant path north eastwards from Grasmere. 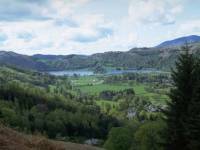 Grasmere from the ascent path. 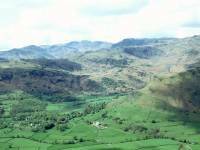 Easedale, Crinkle Crags and the Langdale Pikes seen from Stone Arthur. 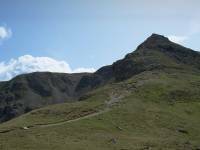 Great Rigg, from Stone Arthur. 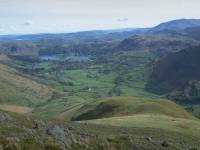 I continued along the ridge to Great Rigg itself. 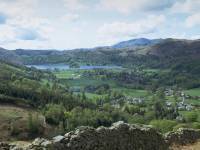 This is the view of Coniston and Grasmere from Great Rigg. 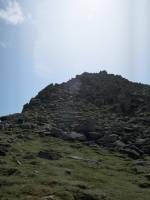 Stone Arthur is out of sight below the curve of the summit dome. 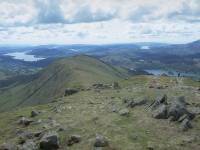 Windermere, Coniston and Grasmere are seen in this view from Great Rigg. 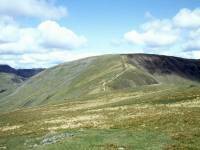 The summit in the middle distance is Heron Pike. 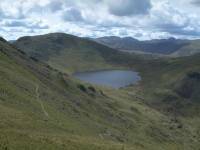 Dollywaggon Pike, seen across Grizedale Tarn, from the path to Fairfield. 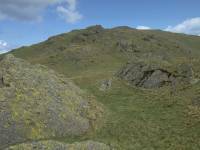 Fairfield, seen from the top of Great Rigg. 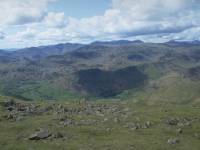 A summit view from Great Rigg - Helm Crag, Easedale, Crinkle Crags, Bowfell, Langdale, the Scafells and Gable. 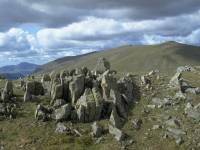 Another summit view from Great Rigg, looking towards Steel Fell and High Raise, with Gable, High Stile and Eel Crag in the distance.. 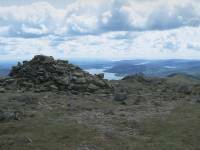 The summit cairn of Great Rigg, with Windermere behind. 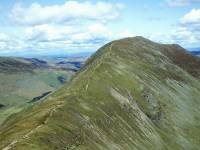 From Great Rigg its a short stroll northwards along the ridge to Fairfield. 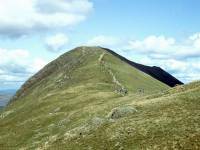 My next objective was St Sunday Crag, but to get there from Fairfield it's necessary to climb the rocky Cofa Pike (seen here) a top of Fairfield and a tricky little summit to ascend. 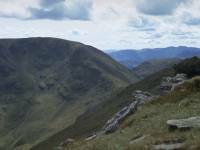 The next objective of the walk, St Sunday Crag, from Cofa Pike. 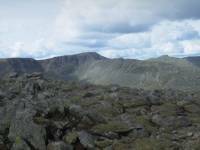 Fairfield and Cofa Pike, seen from the ascent to St Sunday Crag. 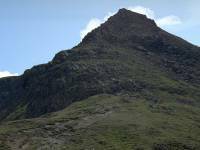 A telephoto shot of Cofa Pike. 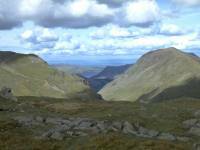 The Vale of Eden and the Pennines, from St Sunday Crag. 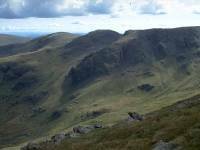 Fairfield, from St Sunday Crag. 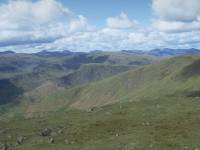 Dove Crag, Hart Crag and Fairfield, from St Sunday. 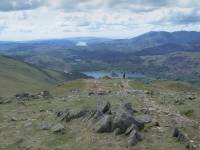 Grasmere and Coniston from the top of Seat Sandal. 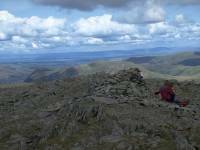 Dollywaggon Pike and St Sunday Crag tower each side of Grizedale. 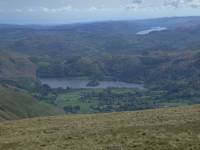 A small section of Ullswater can be seen in the distance. 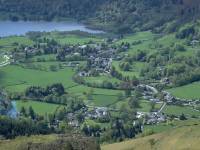 Grasmere from Seat Sandal's south west ridge. 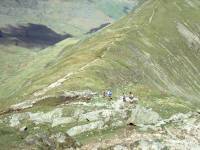 Descending to Grasmere via the Tongue Gill path.